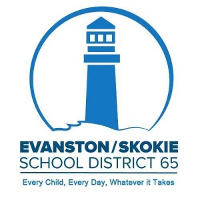 Situated on the shores of Lake Michigan and just north of Chicago, Evanston/Skokie School District 65 is a pre-kindergarten through 8th grade public school district serving more than 8,000 students from the City of Evanston and a small neighboring section of the Village of Skokie. We value our diversity and embrace the wide range of ethnic, racial, economic, and cultural backgrounds represented by our students and staff. Over 1,400 outstanding educators, administrators, and support staff members have made their professional home in District 65 and are dedicated to helping every child reach their full potential each and every day. The roles we play may be different, yet, there is an undeniable passion for our students and families.